If this is your first visit to this page after subscribing to The Aware Show Community or after making a purchase, please click here for instructions. To access your account, please login here with the email address you used when you subscribed to the Aware Show Community or made your initial product purchase. If you’ve forgotten your password, please enter the email address you used when you subscribed to the Aware Show Community or made your initial product purchase. Upon payment confirmation, we automatically issue an email “order confirmation” message with your login credentials and instructions for accessing your download products. If you did not receive the email you may need to check your junk mail folder. 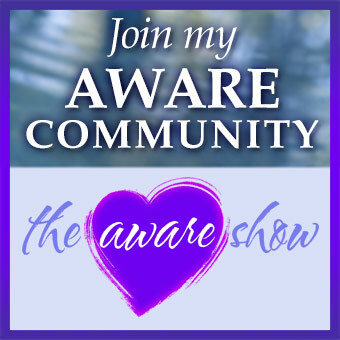 Please go to https://theawareshow.com/support/add-us-to-your-whitelist/ for instructions on how to “white list” emails from “The Aware Show” and “The Aware Life” to ensure that you receive them. Once you have added us to your white list you should be able to receive your password and any support responses we send in reply to your questions. On return visits you need only go to https://theawareshow.com and click on the “Customer Login” button on the Menu Bar and you will be taken to this customer login page. Recover your password here by just entering the email address you used when you made your purchase, then click on the Recover My Password button. You will receive an email shortly, with your password. Then to LOGIN, simply click here to return to the login entry form and enter the email address you used when you made the purchase and the password you received in your email remembering that it is “CASE” sensitive.